Diplomacy is a skill that is extremely important in modern-day corporate environments. Professionals often leverage their diplomatic skills to close a deal quickly, please a client, and keep relations intact for a long time. The right etiquettes and diplomatic skills can help you save thousands of dollars for an organization every year effectively. 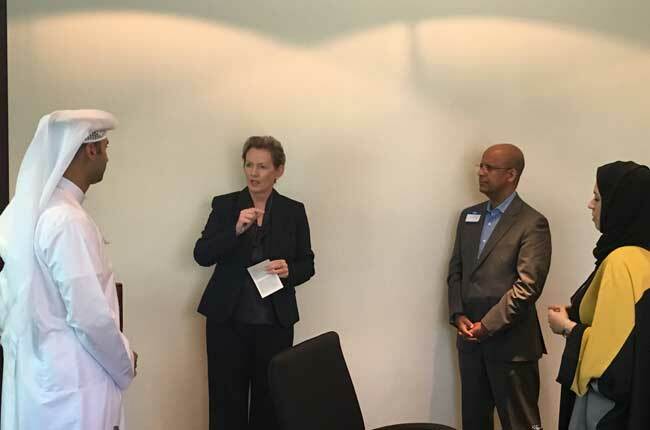 At Protocol Training Dubai, we host a long series of courses for helping business-minded individuals sharpen their communication skills in diplomatic conditions. We Offer a Variety of Courses for People Who Wish to Learn the Skill of Diplomacy. Here are some of the top aspects of our courses. It is important to have a concrete understanding of diplomacy in the digital age which rules every sphere of international interactions in the current century. The digital diplomacy utilizes the modern internet-based information communication channels and has its own sets of followers and influencers. With many countries appointing ‘tech ambassadors’ to endorse digital diplomacy, you must delve deeper into the concept and learn how digital diplomacy can be of use to achieve professional, political and cultural gains. Our protocol diplomacy training allows the trainees to develop a precise understanding about the foreign policy that the Dubai, UAE practices. For this, we provide information about the region’s international relations as well as the international laws that are of great importance for the diplomats. The courses are meant to impart a vision that helps the political as well as corporate diplomats to work in close association with the international teams. For this, we help the trainees understand the cross cultural fundamentals that rely on the social, economic and cultural dynamics that the UAE shares with various countries. Diplomatic etiquettes and communication skills while representing their companies/organizations and presenting their proposals. Combine diplomacy with the professional skills and leadership skills in order to achieve the desired outcomes. Disciplinary knowledge to endorse the Dubai, UAE’s foreign policies and carefully practice the international relations. Media training and writing skills in Arabic and English in order to bridge the gaps. We also host a wide range of certification exams for our trainees. These exams test you on the core skills of effective communication. We can also conduct events and training sessions to help you strengthen the existing skills and develop new ones. The certification courses test you on different etiquette and management courses. Modern-day organizations require modern solutions and training methods. Therefore, we use the latest technologies to train you in the most effective way. We advise people from various management levels in the organization to take these courses. The use of certification exams helps us measure the success of training and work on both the group communication skills as well as the personal skills of the trainee.